Dry skin is a common condition, especially in the winters. It leads to the skin becoming scaly and itchy. The skin tends to get cracked and peels off because of it being too dry. With the winters approaching, one needs to make sure that the skin is sufficiently moisturized in order to prevent dry skin. One of the best natural moisturizers is honey. Honey is a humectant, that is, it absorbs moisture from the surroundings. So using honey on the skin will make sure that the skin is well moisturized. Let us see some ways in we can treat dry skin with honey. 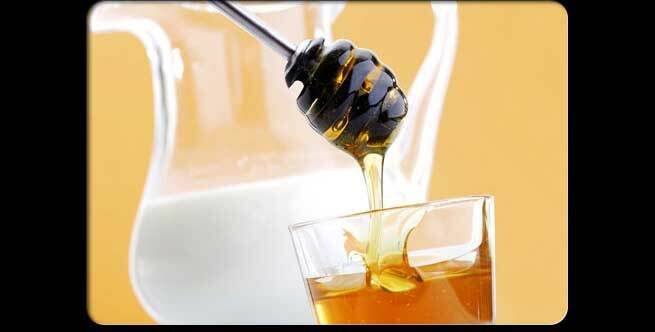 Mix a tsp of milk with half a tsp of honey. Mix it until it forms an even mixture. Apply this on the face in circular motions. Wipe it off with a cotton swab and wash your face. The combination of milk and honey will ensure that it does not dry out the skin while effectively cleansing it. Add Honey into your scrubbing ritual to get benefits from its anti-inflammatory properties. Simply mix half a tsp of honey with half a tsp of olive oil and some sugar to form a thick paste. Dampen your face and use this scrub to slough off the dead cells and reveal brighter skin that is also really soft from the use of the honey and oil. Mix two tsp of powdered oatmeal with a tsp of honey to make a paste. Apply it on damp skin and scrub well. Both oatmeal and honey have exfoliating and moisturizing properties. Make this a weekly routine and get blemish free skin that is really soft. Make sure you use really pure honey for this purpose, since impure honey will attract ants. In a bowl, mix together three table spoonful of EV olive oil with a teaspoon of honey. Add a few drops of any essential oil of your preference. Mix well and store in a small jar. Dot it over your face and hands and massage well to keep the skin soft. Mix together one tsp of honey and a tsp of yoghurt. Add a few drops of lavender oil for great smell. Now apply this as a mask on your face and leave it for ten minutes. Wash it with a mild cleanser. Both yoghurt and honey are wonderful for moisturizing the skin and to get rid of excessive dryness. Almond oil is great for dry skin. But a better way to feed the skin its goodness is to mix ground almonds with honey and applying it as a mix. Simply mix a tsp of ground almonds with a tsp of honey and apply it in circular motion on damp skin. The almond will gently exfoliate the skin too. Leave it on for fifteen minutes so that the skin gets all the benefits from the almond and honey. Wash off and pat dry to get softer skin. 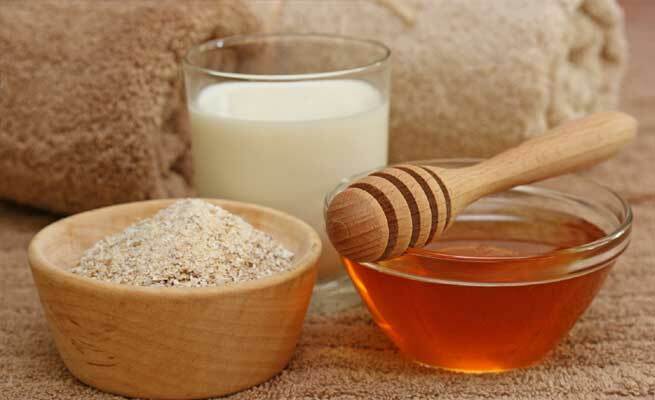 You can take the entire honey treatment for dry skin a step further by adding milk and honey to your bath water. Simply mix in two tsp of honey in some lukewarm water till it dissolves. Add half a cup of milk to this. Pour this mixture into your bath water for a luxurious bath that will keep your skin really soft.